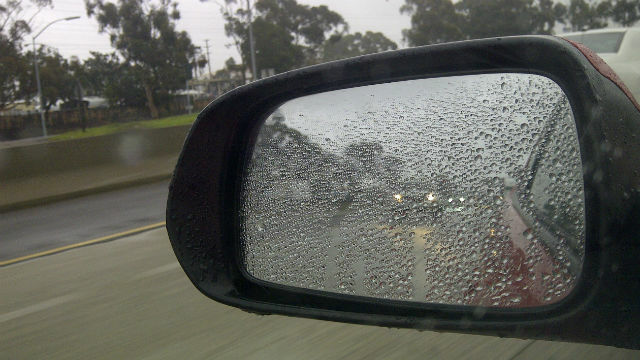 A low-pressure system could bring light rain to the northern parts of San Diego County Thursday, before another storm system brings the potential for heavier rainfall throughout the county this weekend. The storm system moving inland Thursday is expected to drop less than one-tenth of an inch of rain, if any, with the best chance for precipitation north of Poway, according to the National Weather Service. The chance of measurable precipitation in most northern parts of the county has been set at 20 percent, with a 25 percent chance in Julian. After the first storm makes its exit Thursday evening, conditions will be dry Friday until another storm system rolls into the region Friday night, forecasters said. Rainfall totals from the weekend storm will range from a quarter-inch to a half-inch in coastal and inland-valley areas, up to a half-inch in the deserts and anywhere from three-tenths to three-quarters of an inch in the county mountains, according to the weather service. Snow levels will drop to 7,000 feet by late Saturday night. A chance of showers is expected to linger in the region until late Sunday night then dry weather is expected Monday and Tuesday, forecasters said.